These three Dear Jane blocks are for a group project that several of us are working on. Here are the three that I signed up for. We are supposed to make the blocks look as close as possible to the ones from the original Dear Jane quilt. I couldn't find anything even close to the fabric for the first block (Rick's Volleyball Net), so I made my fabric. 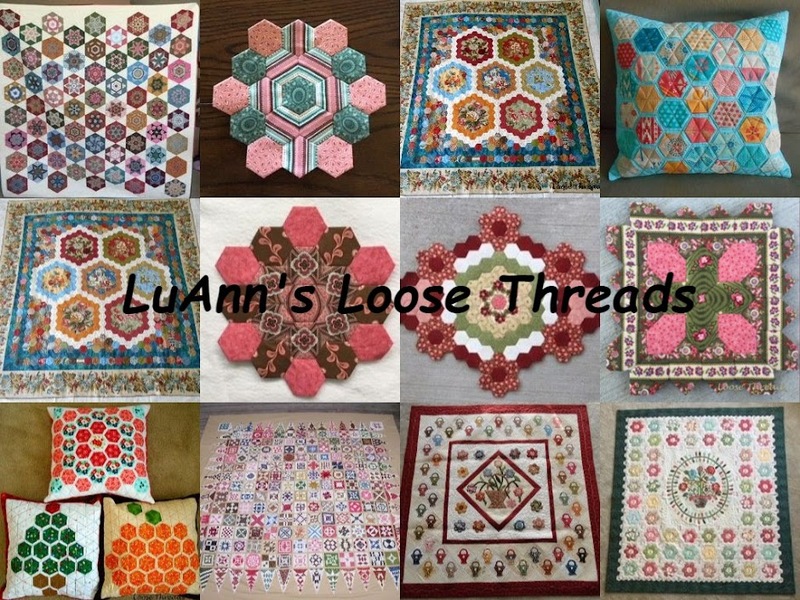 And what was I thinking when I signed up for a block with both curved piecing and applique melons? This one was paper pieced - my favorite method. This corner goes in my Dear Jane. I'm off to my sewing room for the afternoon. I hope you are all having a good day and finding some time to stitch. I've been under the weather for the past several days. I have pneumonia about this same time every winter, and this is the time. The good news is that I am on the mend. Earlier last week I made a few tops to donate to the Project Linus Make A Blanket Day. I've hung onto the hand dyes in this top since I went to Paducah in 2001 so I figured it was time to cut into them. And, I love buying the Kaffe fabric but can never quite figure out what to do with it. I kind of like it with these hand dyes. This one is a baby blanket 36" X 36" made from Moda's Gypsy Rose charm pack plus some older Moda prints. This Project Linus quilt (46" X 60") is made from red lobster fabric from my friend, Susie, from Noblesville. I went to her house when I was making my Nearly Insane quilt to raid her green stash. And, somehow when I got home I mysteriously had this fat quarter of lobster fabric. I was able to make this whole quilt with just that one fat quarter of lobster fabric plus the red and black from my stash. And, as you can see, Mr. Kitty likes it. Now to get some flannel for backing and get some machine quilting done on these. Until next time. It's been awhile since I last posted. To make a long story short, I started tearing down some old wallpaper in one room and then another and another. In the middle of all this our refrigerator stopped working. Then before the new refrigerator arrived, the kitchen sink sprung a leak. So I've ended up with most of the wallpaper (mostly borders) torn down and all new appliances in the kitchen, and the kitchen sink is fixed complete with new faucet. The wallpaper and wall washing isn't all finished yet because it snowed. We ended up with 12.5 inches. OK. I didn't actually get out in the snow. The photos were taken through the windows. Here are three triangles I made. After all, it snowed for a day and a half.